The Silicon Photonics Summer School is designed to equally benefit beginners and experts in the field of silicon photonics. It will expose the participants to the fundamental concepts, latest developments and applications as well as the current and future impact of silicon photonics. Renowned speakers in the field of silicon photonics will showcase hot topics and latest research results. Two poster sessions aim to provide the participants with an opportunity to interact with world-renowned experts of silicon photonics to discuss their ideas and potential challenges. 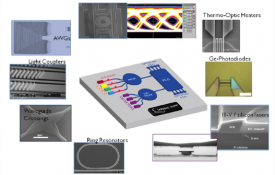 The Specialist Course on Silicon Photonics Design is a hands-on design course, targeted at researchers and engineers with a fundamental understanding of photonic integrated circuits. 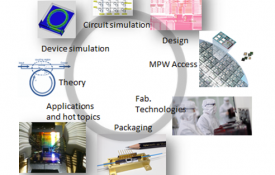 The course focuses on translating a photonic circuit idea into a working chip, going from schematic design and circuit simulation over layout, routing and interactive design rule checking. The participants get to tape-out a design that will be fabricated with an e-beam prototyping service and characterized. Based on these results, the design can be improved and submitted to a wafer-scale multi-project-wafer run of which the participants will receive the final chips. The 2nd Photonic Integration Week and VLC design training, PIW2018, will be held in Valencia (Spain) from the 15th to 19th of January 2018. It will combine industrial presentations, business to business meetings, scientific and technical speakers and training activities. The world’s largest photonics technologies event, consisting of three conferences and two world-class exhibitions will take place from the 27th of January to 1st of February 2018 in San Fransisco. 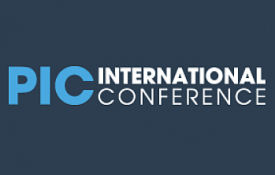 The Optical Fiber Communication Conference and Exhibition (OFC) is one of the largest global conference and exhibition for optical communications and networking professionals. Attendees from all corners of the globe meet from the 11th to 15th of March 2018 in San Diego. 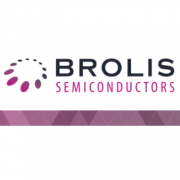 Brolis Semiconductors opens a new R&D division for silicon photonics technology in Ghent, Belgium to develop OEM GaSb/SOI sensor technology platform for medical and industrial markets. The new location will become fully operational early 2018 and is expected to grow to a team of 10-12 employees over the next 2-3 years. contributes to the established regional eco-system of design, engineering and development of integrated photonics solutions. 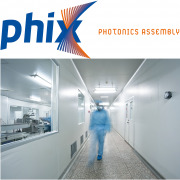 PHIX bridges a gap in the complete supply chain of PIC based modules and enables the further growth of PIC based modules for a broad range of applications. 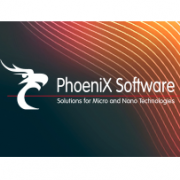 PhoeniX Software announces OptoDesigner 5.1.4 for integrated photonic chip design. The new version adds enhanced component placement and waveguide routing features. 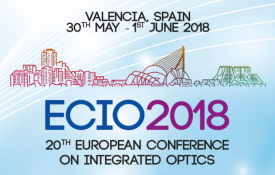 30th of May to 1st of June 2018 in Valencia, Spain.
. ECIO celebrates its 20th anniversary in 2018. The conference offers a broad scope from products to cutting edge research, all within the field of Integrated Photonics. Several invited speakers will present results based on silicon photonics while the conferences are ordered under the topics: Waveguide technology and platforms, devices and materials, integrated circuits and applications of PICs. are still being considered. The Photonics Europe will introduce a spezialized session on silicon photonics. 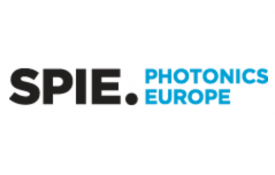 Labelled a cross-disciplinary optics and photonics event, Photonics Europe offers exhibitions from both academia and industry as well as workshops, presentations and student challenges. 13th to 18th of May 2018 in San Jose, California. 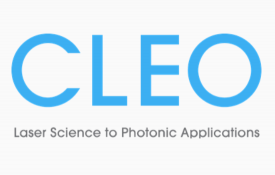 CLEO is one of the biggest events on the calendar for the opto-electronic community. It ranges from basic research to industrial products in three core sessions: fundamental science, science & innovations and applications and technology. Further there is an exhibition (CLEO:EXPO) with attendees from top research institutes and major companies. will open on the 19th of December 2017. Inspired by electronic Field Programmable Gate Arrays, José Capmany et al. demonstrate a programmable photonic processor with over 20 different functionalities based on a simple hexagonal cell structure. 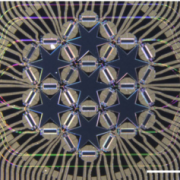 This two-dimensional reconfigurable waveguide mesh is a step towards multipurpose photonic processors yielding faster development times and broad application.